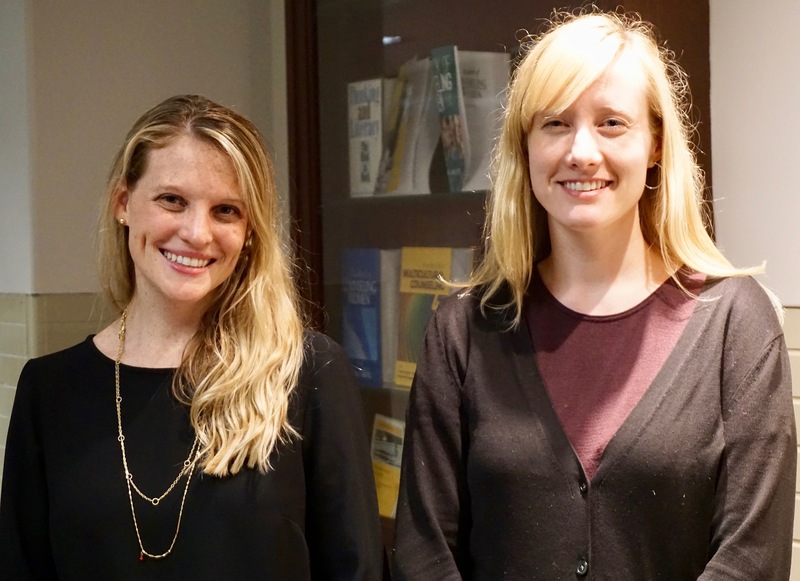 Doctoral internship recipients Mary Braddock (L) and Annie Alpers. The Fordham Graduate School of Education (GSE) is pleased to announce that 15 students received placements in the highly competitive American Psychological Association’s (APA) Professional Psychology Internship Match process for doctoral psychology students. The successful APA-accredited site placements for the GSE’s applicants were in Counseling Psychology (11 of 11) and School Psychology (4 of 4). As part of a rigorous internship application process, counseling psychology students must initially submit an application, three or four essays, transcripts, and letters of recommendation. Those chosen to continue in the process then participate in multiple interviews to determine a final internship match between applicants and positions at available sites. Successful school psychology internship applicants must engage in a demanding year-long process, including submitting applications; doing interviews; and working a minimum of an additional 500-1000 hours in practical training experiences (beyond the minimum requirements) in order to be competitive. Throughout the internship application process, Fordham GSE’s Psychological and Educational Services (PES) Division faculty support doctoral internship applicants in many ways, including by writing letters of recommendation, planning with their advisees, and providing a copy of the division’s comprehensive internship handbook. Kim Nguyen – Hamilton-Madison House, New York, NY. In addition, school psychology doctoral student Ariel Blum secured a recently APA-accredited doctoral internship in the Pleasantville Union Free School District, Pleasantville, NY. Counseling psychology doctoral student Sophia Hoffman also obtained a doctoral internship at Montefiore Medical Center, the University Hospital for Albert Einstein College of Medicine, Bronx, NY. Finally, all 2017 GSE psychology graduates who took it passed the Examination for Professional Practice of Psychology (EPPP), the national psychology licensing exam.